Irshad Kamil is a songster of class. Every time he writes, he tries to break the boundaries of generation gap and compels one to think beyond words. He has command on all genres and his wordplay easily travels the terrains of life, philosophy, romance, patriotism, sensuousness and Sufism. It’s the color of simple words and deep thoughts that paints his writings. Apart from winning three Filmfares, he has been awarded with the likes of Screen, IIFA, Zee Cine, Apsara, GIMA, Mirchi Music, Big Entertainment and Global Indian Film and Television Award. Having written lyrics for films like Tamasha, Rockstar, Raanjhana & Sultan etc. he is an engrossing litterateur, who continues to write extensively for literary magazines and newspapers of repute. 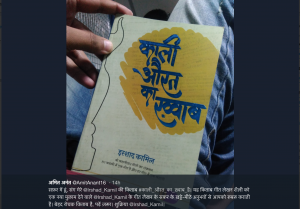 His criti-analytical book ‘Samkaleen Hindi Kavita: Samay Aur Samaj’ is already well received in the academic circles and a full length play ‘Bolti Deewarein’ is making waves in the theatre arena. 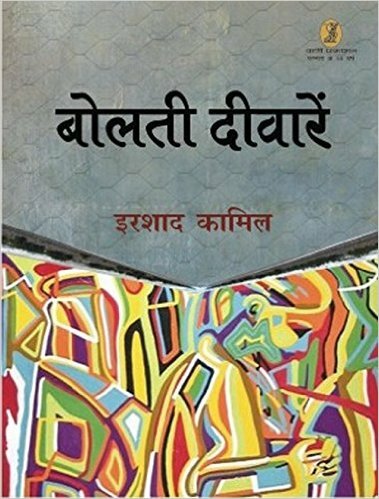 His latest offering 'Ek Maheena Nazmon Ka' was his first anthology of 'Roamantic Feelosophy'. 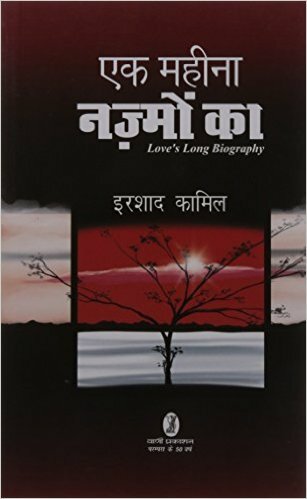 Kaali Aurat Ka Khwaab…Padhiye Aur Bataiye Kitab Kaisi Lagi. My name is Shashii. I am a struggling independent Music Composer based in Mumbai. I love your songs. You had shared the lyrics of an unused song from Tamasha Movie. It was so good that i composed music for it within 10 minutes & after arranging the song it sounded good. I wish to make that song and release on my YouTube channel. Need your permission to use that lyrics. I am Lisa Sanganeria from St. Xavier’s College, Kolkata. It would be an utmost privilege to have you for an interactive session in our International Management Festival which is going to be held in February, 2019. Please revert. Sadda haq is just not a song, it honestly captures the futility of all this development and civilisation. Dear sir main bahut garib hu. Ish liye mumbai nahi aa sakta aur main ek chhote se village se hu mp balaghat district se hu. Main lyricist banna chahta hun. Main hajaron geet likhen hai. Main geetkaar bankar kuch paise kamana chahta hu. Mere gaav me network ki bhi bahut problem rahati hai. Kya aap meri madad karenge. Please sir. Aap apna koi contact number ya whatsapp number prowide karen jisse main apne geet aapko send kar paun.9424473340 ye mera number hai. pankajchakravarti93@gmail.com ye mera email. Hai aur pankaj sangam chakravarti Naam se mera fb account hai. Lisa, Plz specify dates of your Fest. Philosophy of one’s life is contained in only one line…. and that one IMMORTAL line is written by you…. ” Manzil se behter lagne lage hai raastey” ……..film : Jab we met…. Many many congratulations for thinking this poignant line….. BRAVO….